INFILTRATION ALERT: Is Democrat Ernie Martin Now Running the Hawaii GOP? 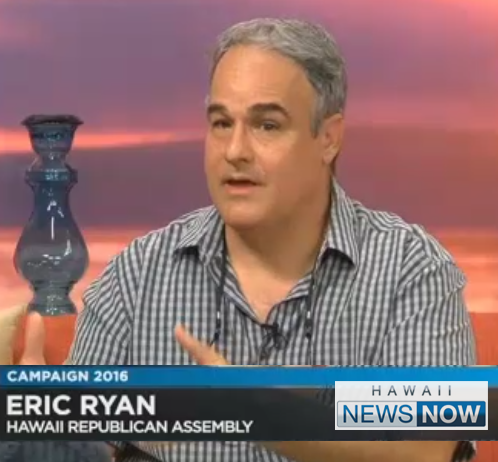 Now Running the Pro-Rail Hawaii GOP? Gosh, it was pretty exciting for Republicans when those three union leaders got behind Charles Djou's campaign for mayor , wasn't it? "Wow," many local Republicans thought, "these unions are just as concerned about high taxes and the wasteful rail project as I am." Sorry folks, nope. Unfortunately, the move by these unions and Djou's several other high profile Democrat backers wasn't so "spontaneous" or "innocent". And it doesn't represent a 'political shift' or even a recognition by union households that Republicans are the real party of working people. Actually, when you get to know these union leaders, their past political endorsements, their motivations, and the one politician* who wishes that he was the one challenging Caldwell for mayor instead of Djou, it all becomes crystal clear. That one politician is *City Council chairman Ernie Martin. And it's NO COINCIDENCE that less than 24 hours after Martin decided not to run, Djou decided to abandon his dream of finally getting elected to a 2-year term in Congress and surprised everyone by running for mayor instead. "Why?" you might ask. Well, these unions (and Charles Djou) have more in common with the pro-tax, pro-rail, pro-HART agenda of Democrat Ernie Martin than they will ever have with excitable Republicans. They just won't tell you so or even draw you a roadmap. But HIRA will explain it AND draw you that roadmap , because most Republicans don't understand the game or even how it gets played. EXPLANATION: Charles Djou is merely the surrogate candidate for Kirk Caldwell's chief political rival: Democrat Ernie Martin. ROADMAP: Here's a handy infographic to help put things in perspective.